Do I have a clear survey goal in mind? Can I use the results as a solution to my problem or as useful insights for my organization? How am I going to distribute my survey? Am I going to send out emails, or reach my social media community? Maybe texting the survey invitation? When am I going to activate my survey? Do I have a schedule with all the key dates of the survey process? How long will the survey be live? Great, step 1 is completed! Time to start designing your actual survey. Ask the necessary demographics (age, gender, …) and place them at the beginning of your survey. You can skip this part if you import a survey panel. In this case, your respondents are highly profiled, so you probably will have all the information you need (gender, location, income, etc.). Use the right question types, all pointing to your survey goal. Don’t ask too many questions. The shorter your survey, the better. Use clear and easy language without jargons and terminologies. Take care of your respondents and guide them through your survey by giving them clear instructions with the questions. Use correct survey logic (page display logic, branching), because every respondent has a different profile and probably doesn’t have to answer all questions. Pay attention to the order of your questions. Arrange them from general to specific and group them per topic. Sensitive questions should be at the end of the survey. Translate your questionnaire (if it is multilingual). Add a design that is recognizable and engaging. Use your own company branding (logo, colors, domain). All checked? Awesome! Now it’s time for the finishing touch. Provide your survey with a clear title. Explain the purpose of your survey briefly. Give the respondents the reason why it’s so important to fill it in. Indicate the duration of your survey. Give brief information about your company or organization. Refer to the incentive (if you have one) and give some information about it. Say “thank you” to your respondents. Give them the possibility to receive the results of the survey (when this is possible). Mention the incentive (when there is one). Create an engaging email body and subject line. Add an engaging layout with your company branding. Embed the first question in your email to increase your response rate. Include an image of your incentive in the email invitation to ensure a higher response. Insert your contact information for when there are questions/remarks. Test your email invitation before sending them out. Almost ready to launch! You still need to test some things and then you’re good to go. Send your survey to colleagues and friends to check the timing and wording. Set up automatic notifications and test them. Make sure your survey is mobile friendly. Set up a soft launch. Revise your survey one last time. Congrats, your survey is ready to go live! All you have to do now is to launch and distribute it. 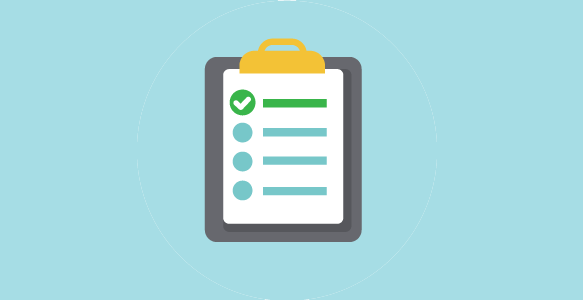 Create your own perfect survey with the CheckMarket survey tool.